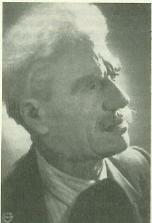 Giuseppe Nicolosi Scandurra was born in Catania in 1877. His mother died when he was seven. At the age of thirteen he left Catania and went to work on a feudal estate. It is there that he first encounters Rusidda or Rosa, the girl who is the object of all his love poems. In a few years, Scandurra is being referred to as the "poeta contadino" (the poet farmer). In his essay entitled Il Petrarchismo in Giuseppe Scandurra poeta siciliano del novecento "Il canzoniere di Rusidda", pages 18-27 in Éthnos: Quaderni di etnologia, published by the Centro Studi di Tradizioni Popolari, "Turiddu Bella", Siracusa, 2005, the essayist Alfio Patti refers to Rusidda as Scandurra's inspirational muse. He is facinated by the parallels he finds between Scandurra's poems about Rusidda and Petrarch's poems about Laura and gives a number of examples. This poem, Mi Veni A Menti (It Comes To Mind) is from the third edition of Scandurra's book of poetry, Natura e sintimentu, published in 1951, Tipografia Conti, Catania, 543 pp. It is the last poem that Alfio Patti quotes in his essay. riddutta comu sbrizzi di brillanti. m'era cumpagna e mi tirava avanti. e senza cumpagnia sulu ristai. macari ca pri l'ummira ti movi. companioning me, pulling me along. and I'd be left alone, companionless. even though you need sidestep the shadow.